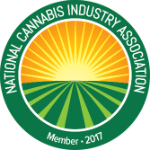 Created to provide helpful information about the Pennsylvania Cannabis Industry. Grower (also commonly referred to as Producers or Cultivators) – Cultivators are responsible for growing cannabis. Mature plants are harvested and transferred to a Processor. Processors – Processors take harvested cannabis from Cultivators and create derivative extracts for edibles, concentrates, topicals, and prepacks. Finished products are transported to Dispensaries. How many Medical Marijuana licenses are being awarded in Pennsylvania? What does a Pennsylvania Medical Marijuana License entail? What kind of tracking system do I need to operate a Cultivation Facility? What kind of tracking system do I need to operate a Processing or Manufacturing Facility? Most states require an extensive seed-to-sale cannabis tracking system to monitor processing and manufacturing efforts, which is especially important in this part of the supply chain due to conversions into multiple byproducts and higher amounts of waste. Our processing seed-to-sale-tracking solution provides comprehensive conversion tracking focused on compliant data points. Customized to meet the unique regulatory frameworks in each state, BioTrackTHC also features an all-in-one business tool to help you operate every aspect of the cultivation business by itself, or as part of the vertically-integrated cannabis business. What forms of Medical Marijuana are allowed? Laboratories test cannabis for concentration and contaminants. Prior to entering the consumer market, all regulated cannabis is required to undergo quality assurance testing. Final Laboratory regulations are to be determined. A laboratory wishing to identify, collect, handle and conduct tests on cannabis can visit Health.PA.gov for more information. Dispensaries sell legal cannabis, and cannabis products, to responsible adults in compliance with local regulations. What kind of point-of-sale do I need to operate a Dispensary? Caregivers grow and process cannabis on behalf of patients. They cannot charge for cannabis, only recoup the costs of goods. How can I get a Medical Marijuana prescription to treat my condition? Does my medical condition qualify for a Medical Marijuana recommendation in Pennsylvania? What forms of Medical Marijuana are allowed in Pennsylvania? All physicians must attend a 4-hour training session regarding the legal use of medical cannabis. A physician may not issue a certification for the physician’s own use of medical marijuana or for the use of medical marijuana by a family or household member. A plan of operations is required for all dispensary permit applications. The plan of operation must include a timetable outlining the steps the applicant will take to become operational within six months from the date of issuance of a permit. The plan of operation must also describe how the applicant’s proposed business operations will comply with statutory and regulatory requirements necessary for the continued operation of the facility. What must be covered in a plan of operation? For the latest cannabis-related legislative updates on Pennsylvania, check out our Cannabis Bill Tracker! PENNSYLVANIA SUCCESS STARTS WITH CONTACTING US!